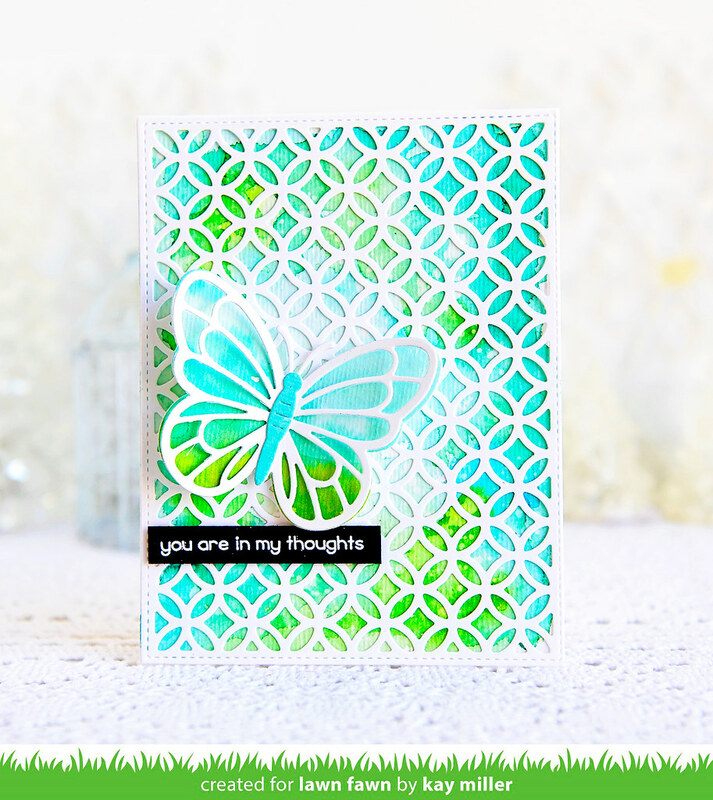 Today we are showcasing a beautiful new die called Fancy Lattice Backdrop. For my card here, I watercolored the background with Peerless watercolors, then added the white Fancy Lattice Backdrop die onto of that. 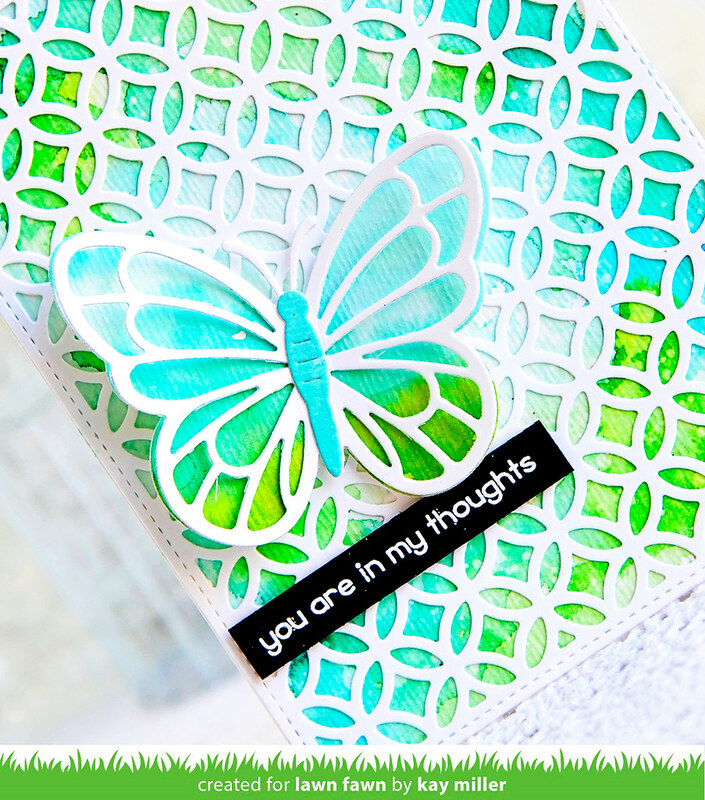 The butterfly is from the new Layered Butterflies dies. I cut the first layer of the butterfly out of some watercolored paper, then cut the top layer out of white card stock, and glued that just down the center part. I added the butterfly body and added this to the card with glue dots. The sentiment is heat embossed with white embossing powder and added to the card with foam tape. Oh, I like this! The colors are so pretty! Beautiful showcase of the backdrop die--especially using those "Kay" colors!